At that time last year, Florida State became No. 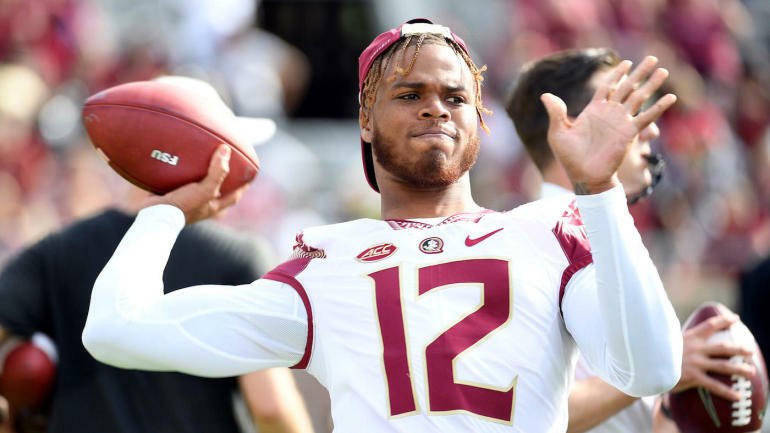 3 in the country and Deondre Francois was ready to lead the Seminoles against Alabama in the season opener of what she hoped would end a campaign that ended in the College Football playoff. Things were not going according to plan. Francois tore the patellar tendon in his left knee in this week-1 game and was lost to the rest of the season when Florida State limped to a 7-6 finish. Well, it's time for two. 9 Florida State announced on Monday that Francois will start the season as QB1 against Virginia Tech this weekend. Francois, now a Redshirt junior, started 13 games for Florida State as a Redshirt freshman in 2016. He threw for 3,350 yards and 20 touchdowns, including for another five scores. He had with his replacement last year, James Blackman in the second year, and Redshirt freshman Bailey Hockman for the job. "I think if you watched the work in the short time he was out there, he was just a lot more efficient," said Florida State coach Willie Taggart explaining the decision. "He made a lot less mistakes, and I think that's important for the position." Florida State enters the 2018 season with lower expectations than last year. The Seminoles are currently ranked # 19 on the AP Top 25, a full 16 places lower than at the start of the 2017 season.